Monday was all about Sports and Societies. 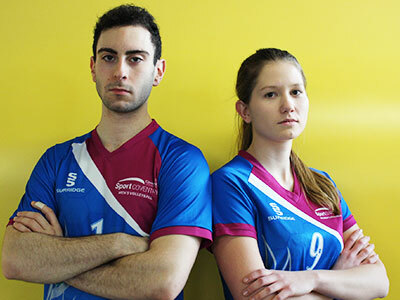 This gave new and returning students the opportunities to join one of our fine sports teams and societies. With Varsity on the horizon this was a very important recruitment day and it was great to see it so well attended. In addition to our sports teams there are societies available to join that range from baking and Pokemon to rock music to chess societies. For a full list of societies, check out theCUSU A-Z listin. If you couldn’t follow our Snapchat story on Monday, relive the day below. 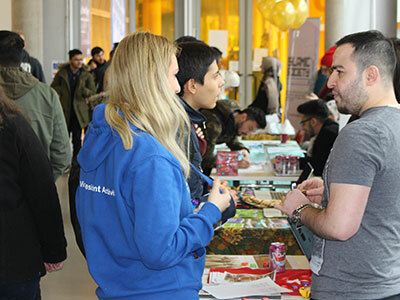 The second day of Refreshers was dedicated to the Student’s Union itself and gave students the opportunity to get involved. The Student’s Union is massively important. 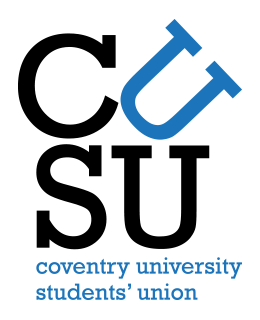 It’s technically a charity that is dedicated to improving the lives of students studying at Coventry University. As a student led organisation there are several ways that you can get involved in decision making structures and it’s also the place to go for advice and guidance about anything outside the academic sphere. For more information, visit: www.cusu.org/. Wednesday was careers day. The team from central careers were on hand to talk to students about life after university. How do I get a job? How do I put a CV or cover letter together? Where do I look for work? All these questions are answered by our dedicated team. There were also stands from some outstanding employers from the local area and further afield looking to hire the best young talent straight out of university. If you require any careers advice but weren’t able to attend the fair, you can still speak to someone from the team. Visit Central Careers, call 024 7765 2011, email careers.ss@coventry.ac.uk or drop in and see the team based in The Hub. Arguably the main event took place on Thursday with the big Refreshers Fair. The fair gave businesses the chance to buy your custom with loads of cool freebies from big names such as Tesco and Dominos Pizza. And who can turn down free pizza? Do you have any fun stories or pictures from this year’s Refreshers events? Let us know via the comments section below or via social media @covcampus. 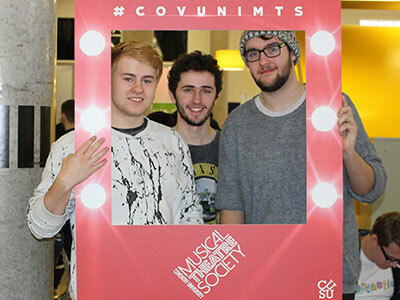 *Freshers*, CUSU, Events, Explore The City, Student Life, Why Cov Uni?